Have you or a loved one been seriously injured in Denver due to negligence? Suffering a devastating personal injury as a result of another person or company’s carelessness is surprisingly common in the city of Denver and throughout Colorado. Car accidents, truck accident, pedestrian/bicycle accidents, dog bites, construction accidents, drunk driving, slip and fall accidents and wrongful death are just some of the many hazards of city life. The Babcock Law Firm specializes in serving residents of the Mile High City and surrounding areas in the areas of personal injury litigation, including back and neck injuries, brain trauma, spinal cord damage, burn wounds and other injuries. 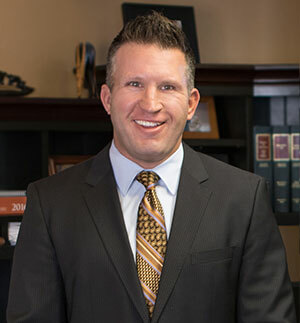 Before you contact experienced Denver personal injury attorney Mack Babcock, we invite you to read our client testimonials to see how we’ve been able to secure positive results in many cases like yours. Description: Represented for two dates of injury; filing for hearing after Notice of Contest filed; settle both cases pre-hearing. "I was fortunate to be recommended this firm and to meet with David Ong. David provided an excellent service and helped me through the complexities of workers’ comp. It took away so much of the additional stress associated with my injuries and enabled me to get a fair settlement for the case. My only regret is that I did not know of The Babcock Law Firm earlier on in the process. I highly recommend this firm and appreciate the friendly and empathic attitude shown by all of the staff I came across." Description: Represented for denied back injury and admitted hand injuries. Settlement agreement reached prior to hearing and following hand surgery. Description: Represented for wrist and hand injury obtaining treatment, addressing AWW calculation and obtaining settlement. Description: Represented following a dog bite at work. Facilitated continuation of treatment following move out of state. Obtained settlement. "The Babcock Law Firm exceeded my expectations. I would not have received the special medical treatment I required if it weren't for Mack's resources and persistence, I would not have known how to handle unexpected complications if it weren't for Jan's professionalism and deliberateness, and I wouldn't have understood my rights or how to defend them if it weren't for the firm's thoroughness, thoughtfulness, and top-notch expertise. I am so grateful for their support through such a traumatic and overwhelming event." Description: Retained for representation after low back injury at work was denied by the workers' compensation carrier. Obtained final settlement for injured worker. "I had a wonderful experience with Babcock law firm. Everyone was super helpful and made sure that I walked away with at least something instead of nothing. I was kept up to date on everything in a timely manner and I really appreciated that. Stephanie was really understandin of my situation and always made sure I felt welcome which is really important to me. Thank you Babcock for everything you did for me." Description: Retained for representation following a Final Admission of Liability on a shoulder injury. Objected and obtained additional monies for client. "Stephanie and Jan were a pleasure to work with. Both very professional. You have a good team. Take them out to dinner. Have a Great Day and again express my thanks to Stephanie' "